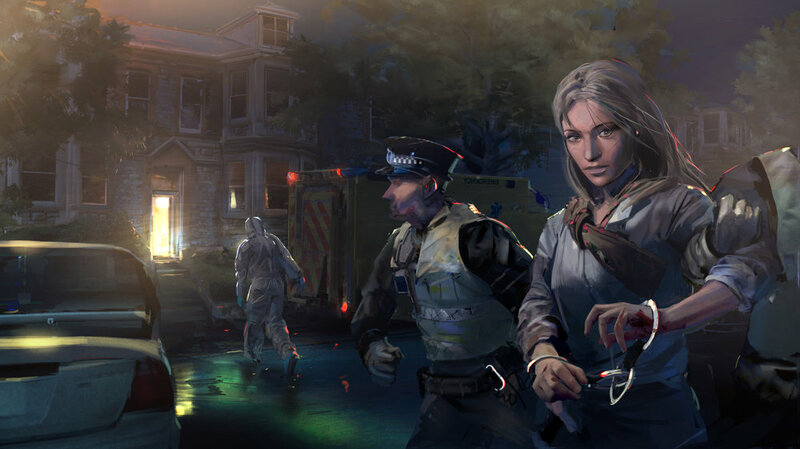 Underland is a crime drama video game where you play an investigative psychologist analysing evidence to find out why journalist, Silvi Moore, has been arrested for murder. It's a whydunnit with three possible endings and gives players desktop access to case files they can explore in multiple non-linear ways to solve two murders. Underland was created as part of Hannah’s doctorate in Creative Practice and is a combination of story exploration game and digital epistolary fiction. It's accompanied by an academic thesis on writing and design methods for combining narrative and player agency in live, digital and live-digital hybrid immersive and interactive experiences. The academic thesis includes interviews with contemporary writers and practitioners of interactive storytelling and looks closely at video games, street games, alternate reality games, interactive theatre, immersive theatre and digital narrative. Hannah’s practice-led approach has a particular focus on types of immersion, player roles and perspectives, creative writing and narratology in interactive, immersive and digital mediums. She was awarded a doctoral bursary by the University of Exeter for 2010-16, taught on the undergraduate modules in English and Creative Writing and worked as a Research Assistant in the English department, alongside running Story Juice.